I'd heard that there were White-winged Crossbills as the Alaksen National Wildlife area, so I made the drive from Pitt Meadows to Ladner. This area is adjacent to the Reifel Bird Sanctuary, but I'd never set foot in there before. Due to my current employment, I only visit Reifel on weekends when Alaksen is closed. So it was quite strange to be in a completely unknown area so close to one I knew like the back of my hand. 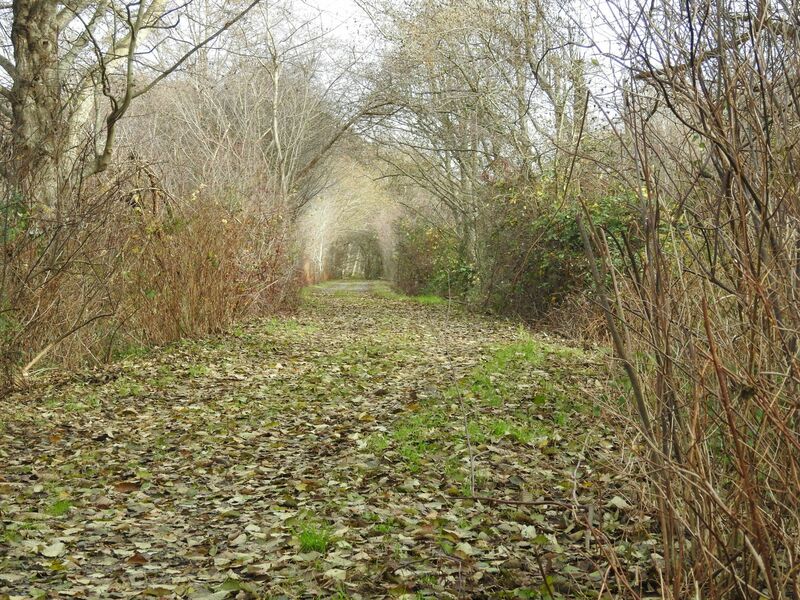 It's very quiet at Alaksen as only the birders tend to go there when its open. It reminds me of the the Shire from the Lord of the Rings a bit. 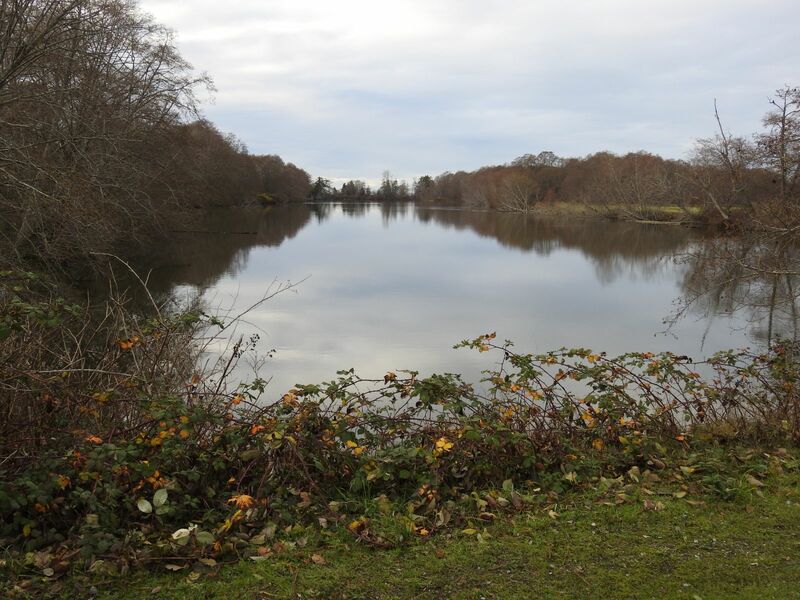 Here's another shot further into the area, not sure if this is a pond or an oxbow from the Fraser River. There was a small group of birders on site already, most of whom I was acquainted with. 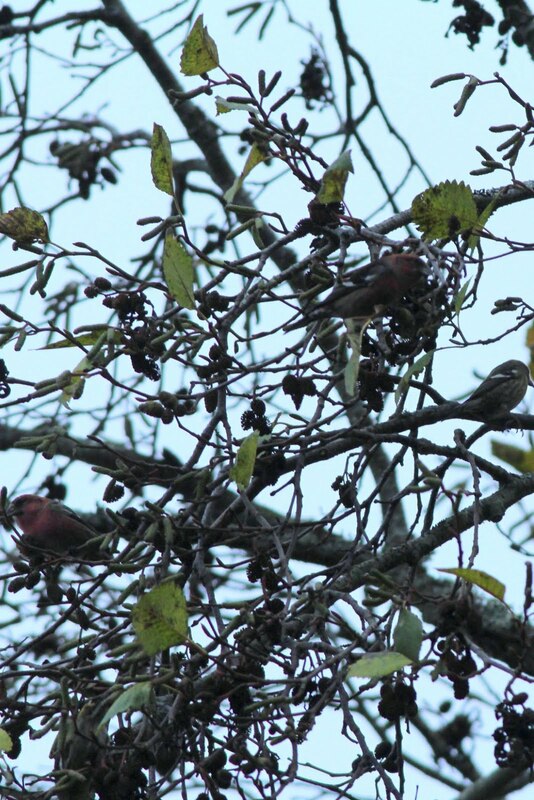 We did eventually find a large group of birds, but they were all Pine Siskins. 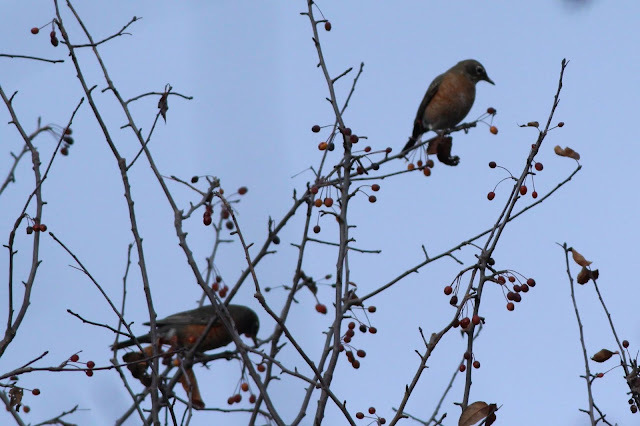 There were large number of Robins in the area as well. 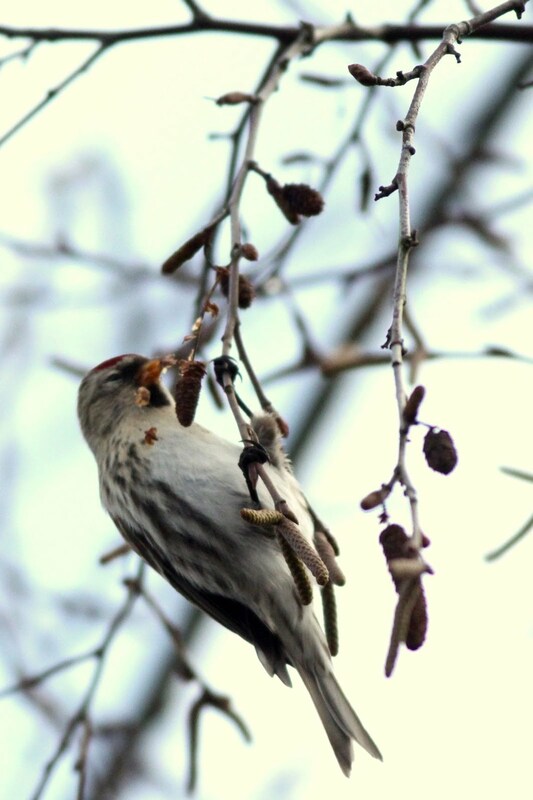 One of the birders found a Common Redpoll with his scope and I had a good look, but it was too high up in a heavily shaded area to find with a camera. Here's a shot of one taken at Reifel in December 2015. 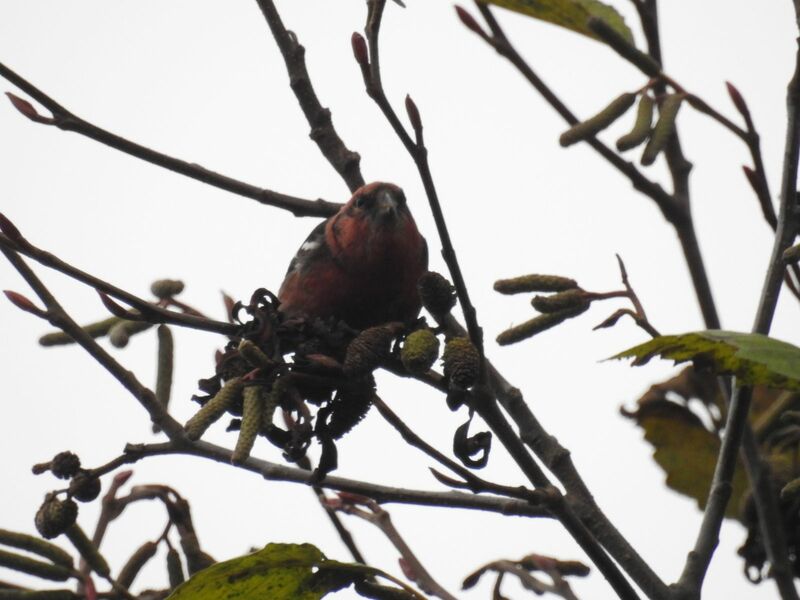 The birders split up and eventually some Crossbills were spotted near the Alaksen gate by the Reifel turnoff. We jumped in our vehicles and got there in time to see a flock in the nearby trees. The light was very poor, but in this situation the Nikon Coolpix can still get decent photos. 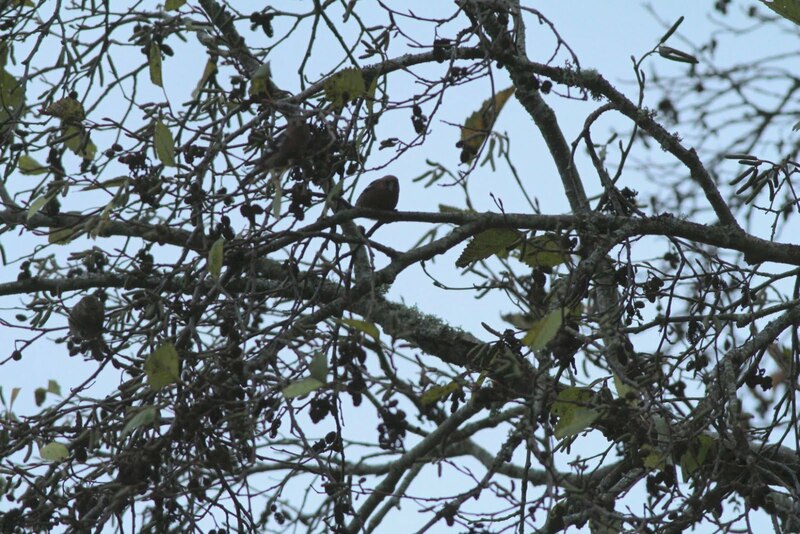 The birds were a mix of male and female White-winged Crossbills, a species I'd never seen before. The light was poor and the photos are heavily cropped. There's two males in this shot and a Pine Siskin in the background. 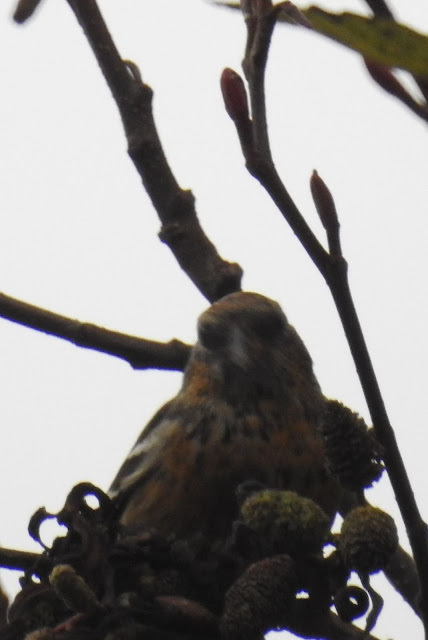 The black and white on the sides distinguish the White-winged from Red Crossbills, which look more like House Finches. The female is quite interesting, this is a heavily cropped photo. After not having a lifer since November 2016, I now had four since September. 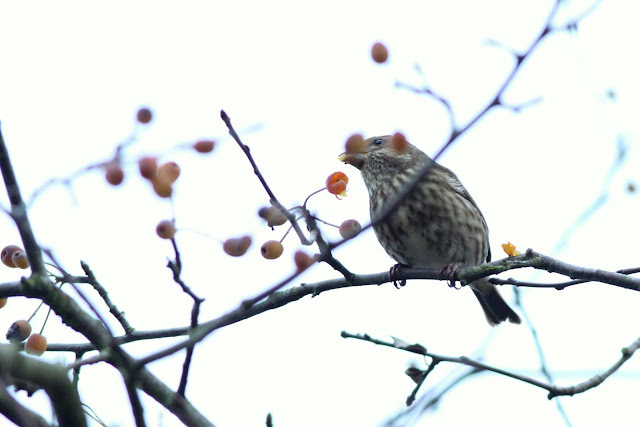 That was it for November, we'd see what December birding would bring.